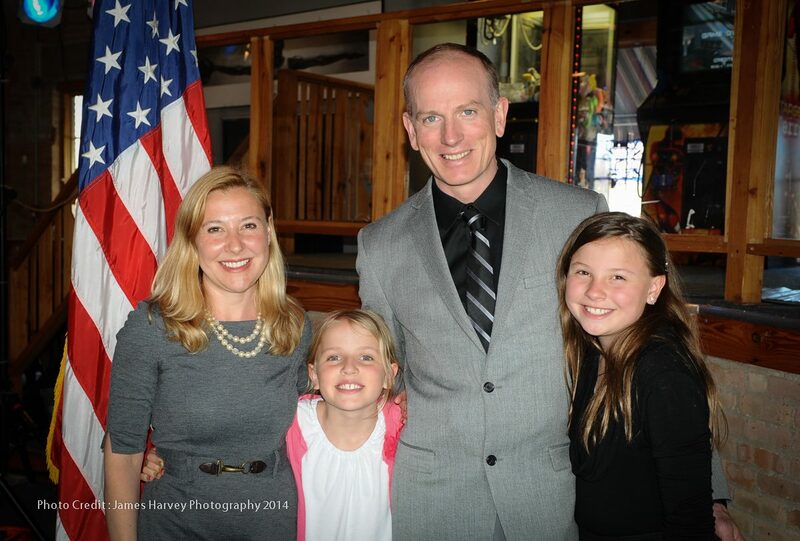 Anna and her family have lived in the 43rd District since 1997, when she and her husband Marc chose Elgin, IL as a place to live and raise their two daughters, Madeline (13) and Eleanor (10). Anna has spent her career in public service working in local communities to improve the quality of life of residents in Northern Illinois. She has a BA in History and Master of Public Administration (MPA) from Northern Illinois University. She is an experienced public administration professional working in economic development, community planning, budgeting and non-profit management. In 2012 she was named to the inaugural class of the Edgar Fellowship program created by former Illinois Governor Jim Edgar and was admitted into the Pi Alpha Alpha Honor Society for Public Administration and Public Policy in 1999. She is an active volunteer in the Elgin community and has served on the Human Relations Commission, Planning and Development Commission, as Vice-President of the Northeast Neighborhood Association, Treasurer of the Channing Elementary School PTO, tutor for the Literacy Connection, member of the design team for the Elgin Math and Science Elementary Charter School and as an elected member of the Elgin City Council. Her husband Marc is a middle school teacher in the Barrington 220 School District.